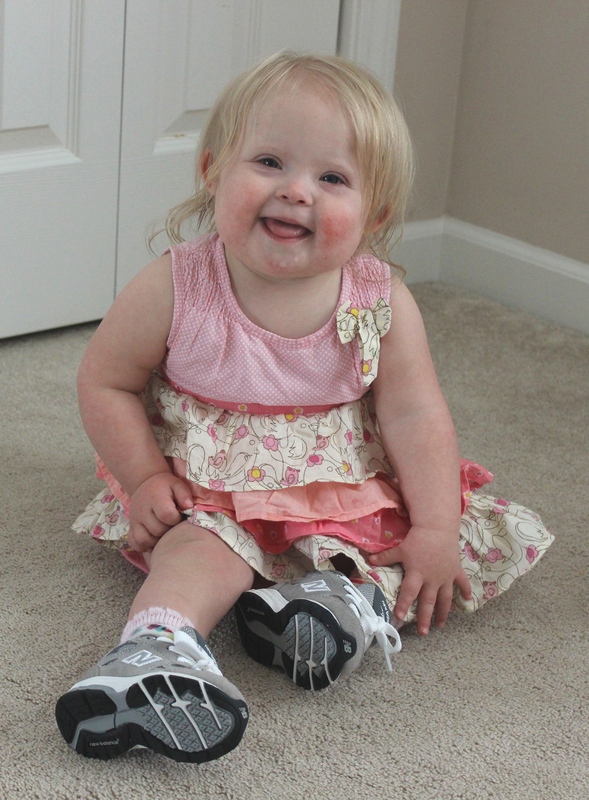 As of Monday, Lina has new orthotics to help her progress toward walking. 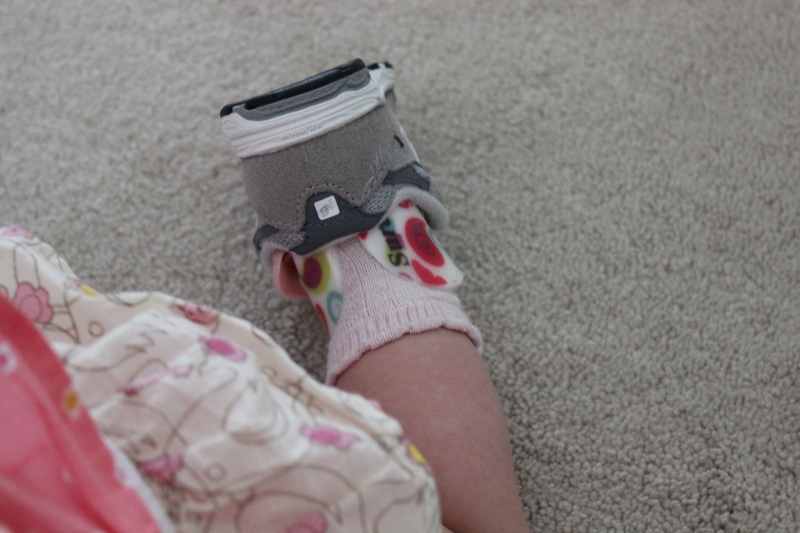 They provide extra stability and balance, and the hope is the boost and extra confidence will get her from crawling and cruising to taking actual steps in the next few months. She doesn’t seem to mind them. 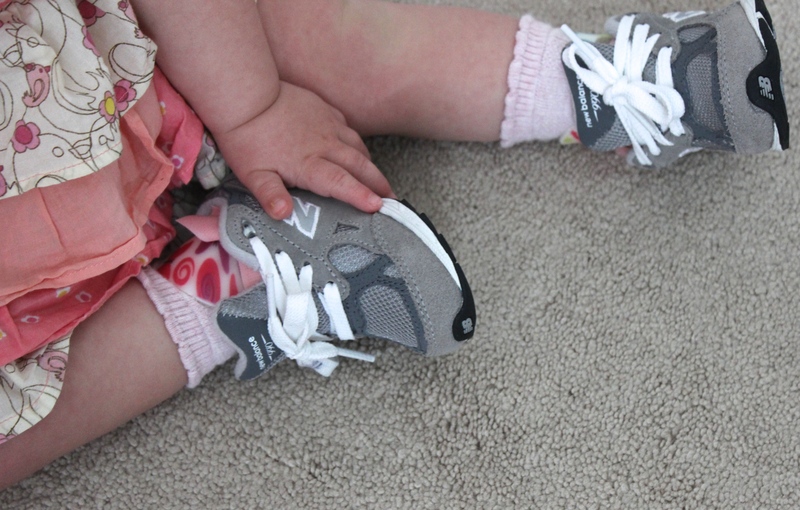 I’m totally on board with anything to help her continued progress, but I’ll confess to cringing a bit at New Balance sneakers instead of strappy summer sandals. She pulls them off remarkably well.